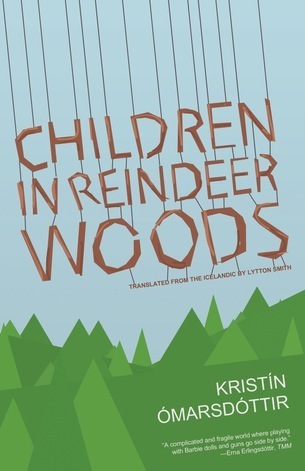 For all you GoodReads users, we’re giving away 10 copies of Kristin Omarsdottir’s Children in Reindeer Woods though their special program. To enter, simply click on the button below before March 31st. In terms of this book, it’s a very intriguing novel that’s kind of like a war book that’s not about a war. It opens in shocking fashion with a group of paratroopers descending on an idyllic farmhouse and killing everyone in site. Then one paratrooper turns on the others, and by page three, the only people remaining are Rafael—a soldier who wants to start life over as a farmer—and the eleven-year-old Billie, a precious and strange child who had been living at the Children in Reindeer Woods foster home. As the book progresses, it becomes less about war—the when and where of this war are displaced and made intentionally irrational, transforming this into a more mythic, or universal sort of story—and more about the relationship between these two characters who are building an oasis amid a culture of violence. Back at the MLA conference, I gave a copy of this to a friend who texted me the next day to say that it gave her “the most fucked up dreams ever . . . in a good way.” It really is that strange and powerful and vivid. It’s also going to be reviewed in the New York Times Book Review next month. So get your copy now, either by entering below, or simply buying it through our website.